An introduction to Italian wines with Princess and the Pinot. Discover which Italian styles of wine you prefer with our flights of wine, served with Antipasto Calabrese. Enjoy a glass of bubbles while we talk you through wines if Italy, choose a flight of wines to pair with your sharing platter, and top up your glass with your favourite wine. Bubbles will be served from 7:30pm, the talk will start at 8pm, and the rest of the evening is yours to have fun with friends. Open to Over 18s only. Places are limited and tickets must be bought in advance so we can cater for the right number. If you are vegetarian or vegan please email soma@princessandthepinot.com when booking. Sending your email address means that you are happy to receive our news. The newsletter includes updates on our pop-up wine bars, details of HYO Wine Club, offers from our friends and more. You can unsubscribe at any time. We will not pass on your details to anyone else. Click the button below to send us your email address. Welcome to our pop up wine bar! Our pop up wine bar has been designed to create a relaxing atmosphere where you can come and learn about wine in an informal way. It is a ticketed event, which you can book through Eventbrite using our BOOK A TABLE links. 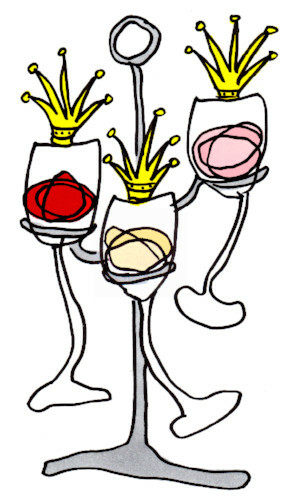 Our speciality is our flights of wine: three wines in a flight showcase a particular style, region or grape. Flights of wine are served as tasting flights (3x 50ml) or full flights (3x 125ml) and presented in ‘trees’ with information about the wines and where you can buy them. Please LIKE our Facebook page and sign up to our mailing list to be kept up to date with dates and details about upcoming events, special offers from our Friends. Love wine? Come and find your perfect match! Soma is joining Rachel as The Wine Women to create a wine-matching event. Email ukwinewomen@gmail.com to find out more and book your time slot.